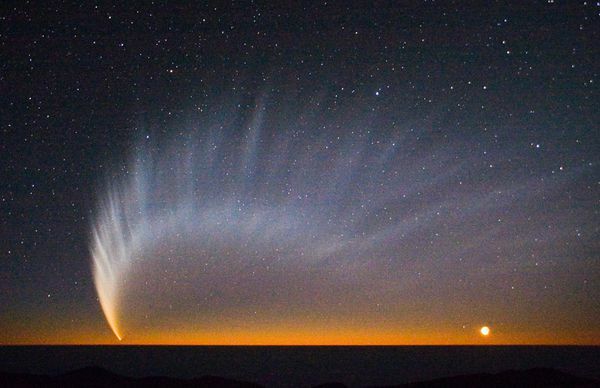 Comet Elenin was discovered on 10 December 2010 by Leonid Elenin, a Russian amateur astronomer. It will make its closet path to earth October 16, 2011 during Sukkot, the Feast of Tabernacles. The timing of the passes to earth give Elenin its significance. The first pass will be during Rosh Hashanah, September 28-29, 2011 and the second pass during Sukkot. Astronomer Elenin wrote September 3, 2011: As many readers already know, Comet Elenin has begun the irreversible process of breaking up. 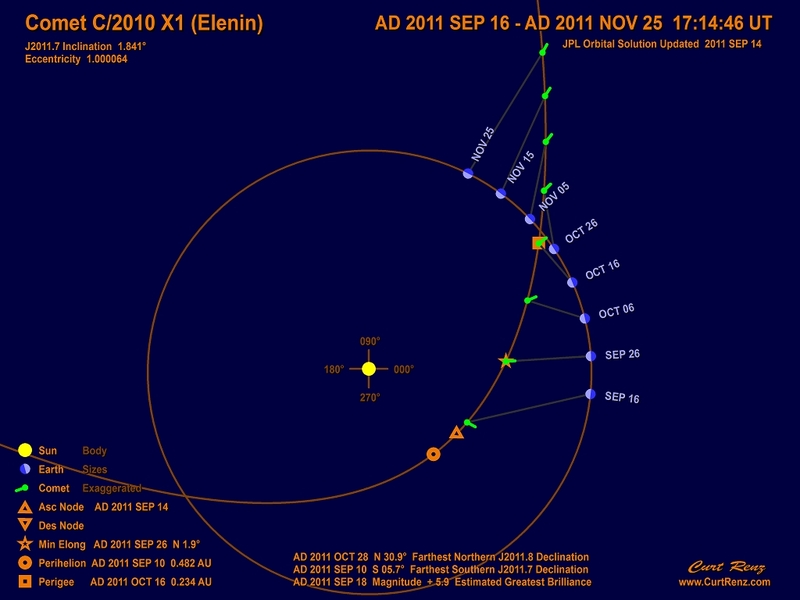 Below is a chart from Astronomy.com regarding the timing of Elenin’s pass. The timing of the passings on the Hebrew calendar month make it very interesting. On the 28th it will be the beginning of the moon cycle (head of the month). When the moon begins a cycle and when the moon is full it always affects the earth, such as high tides and more chances of mining accidents. How this will affect the earth is still to be seen. However, all reports are that it has been breaking up and nothing will happen.